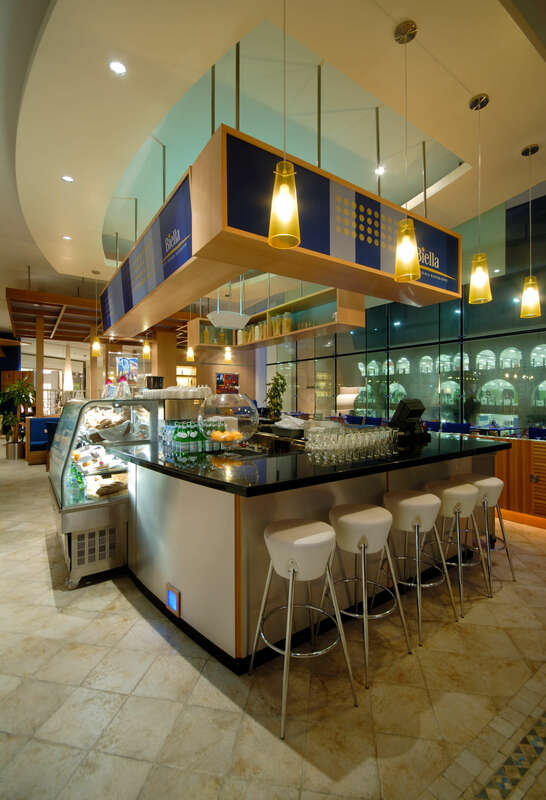 Designing restaurants in open plan locations with very specific limitations can be a challenge. This casual all day dining restaurant occupies a very light and open space taking full advantage of its surroundings at the heart of a busy, upmarket retail centre. There were virtually no walls around which to plan and apply a design. Instead we created vertical lattice screens around which fixed seating could be anchored without significantly blocking the view. 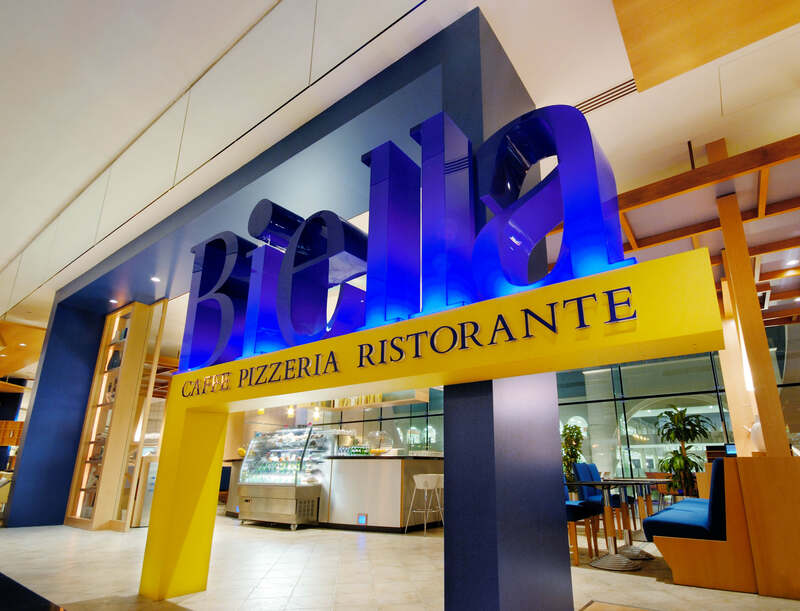 The large scale entrance statement combined with the restaurant logo created great visibility of the outlet within the retail centre without blocking the view of the warm welcoming atmosphere and the espresso bar beyond.